The Youngest RJs of Mumbai! With the two of them on radio, don’t just wake up but shake up every morning! The craziest, the freshest, and the maddest morning breakfast show. 7.00 AM -11.00 AM everyday with Rangeeli Ruchi and RJ Glenn. From Bollywood to BMC, from roads to rails, they get you all the latest happenings. 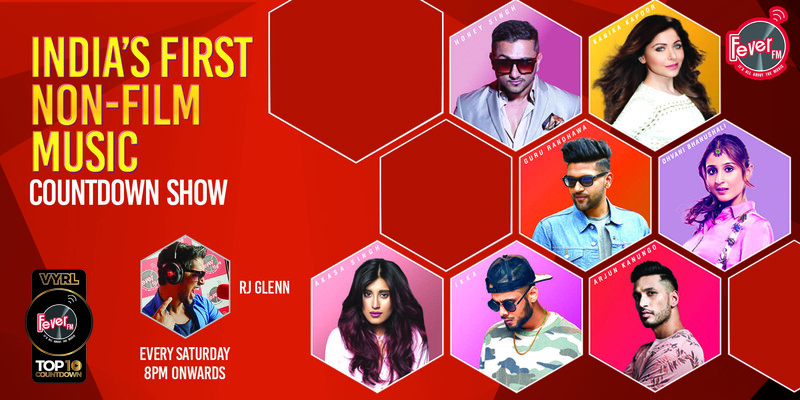 Get the right amount of entertainment along with great music – the youngest show in the city. The Only Hindi/Marathi Show that brings to you your Daily Dose of this beautiful city which has its own turn of events, good or bad, happy or sad. Each day between 2 to 5pm Mumbai Chi Mulgi Urmin tells you - What’s hot in Mumbai, What’s the latest in Social Networking, What is everyone talking about on Facebook, who’s Tweeting about what, Where does everyone hang out, What’s the best college to be in…WHAT IS EVERY YOUNGSTER IN MUMBAI THINKING ABOUT! If you are not spending your afternoons playing a Bollywood crazy segment like Dayanand Parvati ki Kahani, getting the top 5 Mumbai news on 'Ek minute mein Paanch’, updating your social media knowledge with Social Chidhiya & soothing your music taste with Fever Unplugged Files, then you are really missing out on some Entertainment! RJ Sidhu drives the evening show from 5:00 PM – 9:00 PM which makes you forget your problems and make you say NCT to the same. If you have to survive in Mumbai then you should know how Mumbaikars think and what are their opinions, RJ Sidhu does that in a lalantaap manner. In the world where news is getting sensationalized RJ Sidhu makes it funny and interesting for Mumbai. Yeh all in 1 hai tabhi toh no.1 hai. Sunday Spotlight is a platform for unique artists from any field. Each week RJ Roshan brings turns the spotlight onto these performers (Acapella bands, poets, super barbers, parody singers, bartenders and more) – showcasing their hatke talent. With Fun banter, instant challenges, spontaneous performances and more, tune in and discover their stories every Sunday.